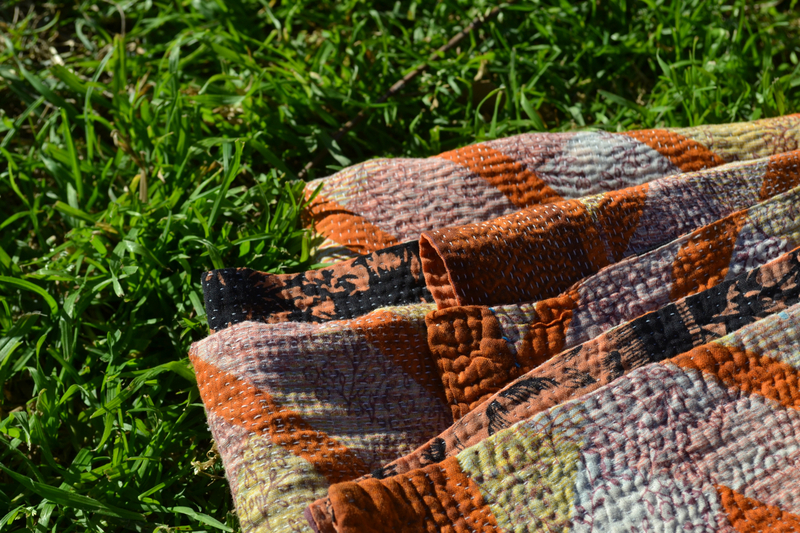 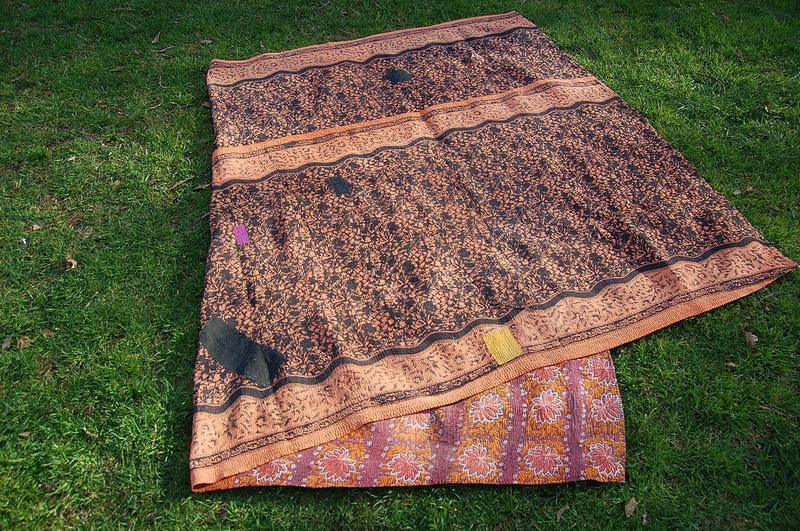 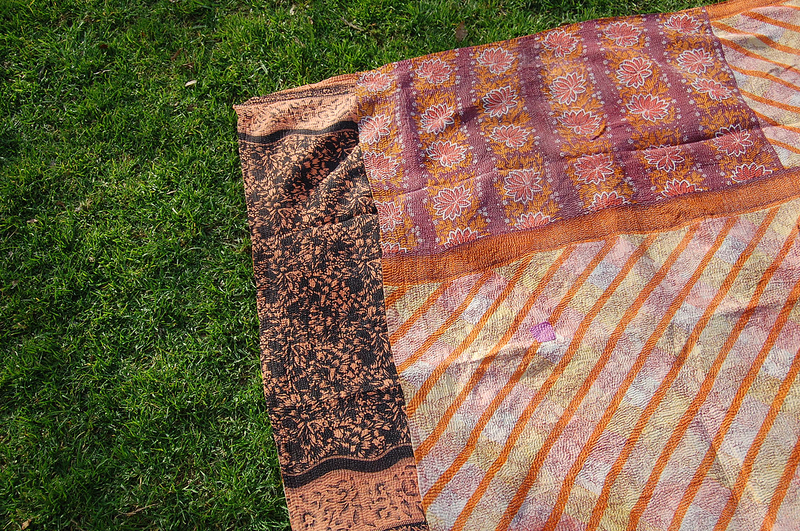 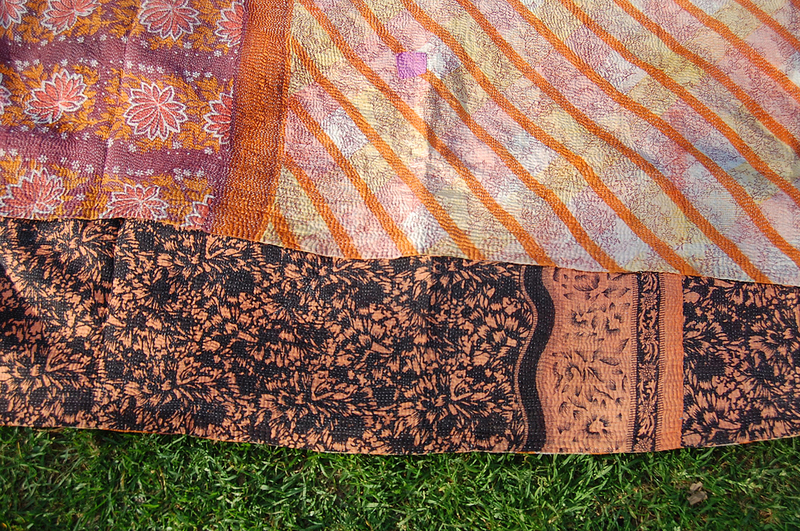 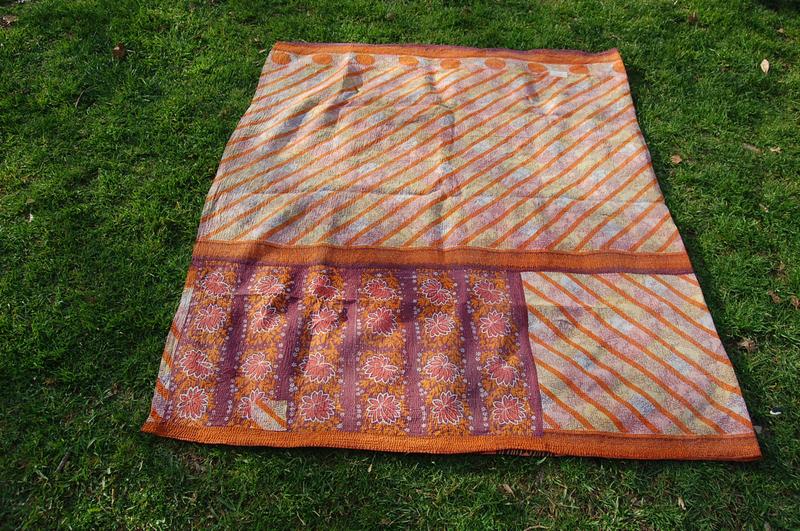 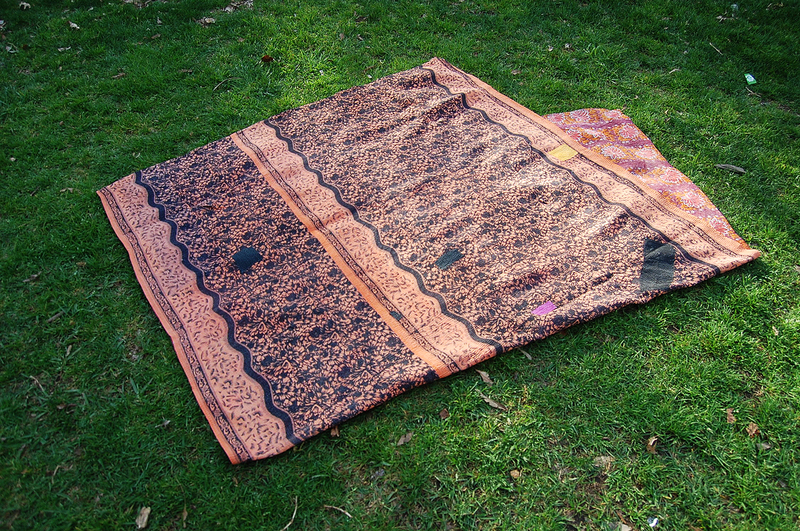 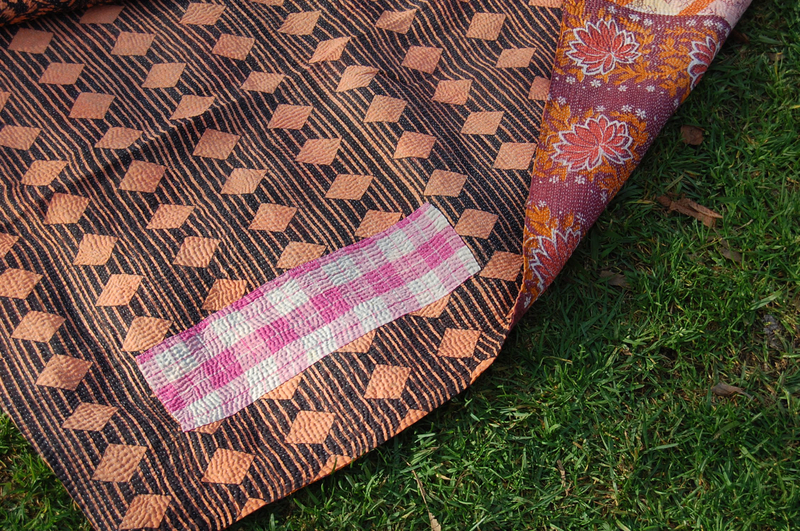 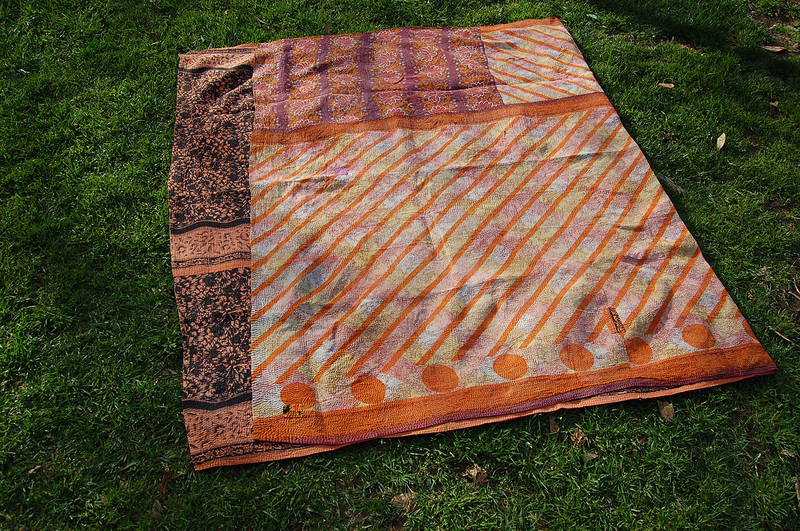 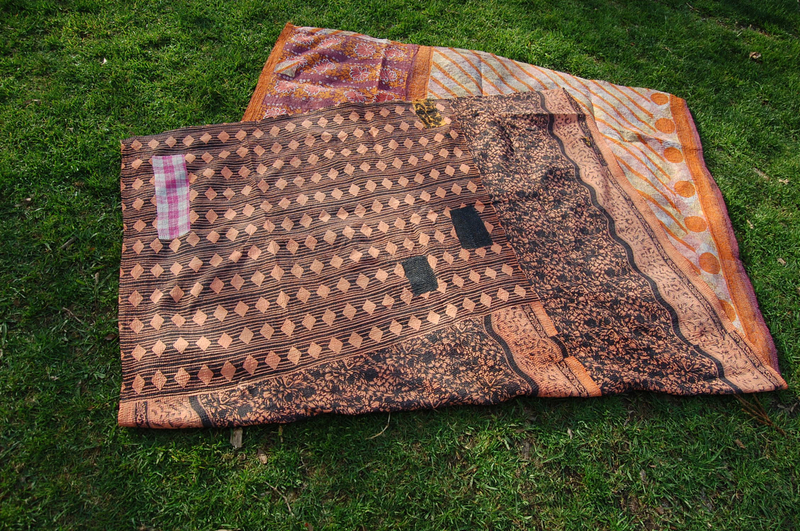 Contemporary in design, this newer vintage kantha quilt is one of the most exquisite kantha quilts I’ve laid eyes on ~ the immaculate craftsmanship, carefully patchworked sarees and matching patches, the extremely fine needlework, perfection in its construction – and 100% made by hand! 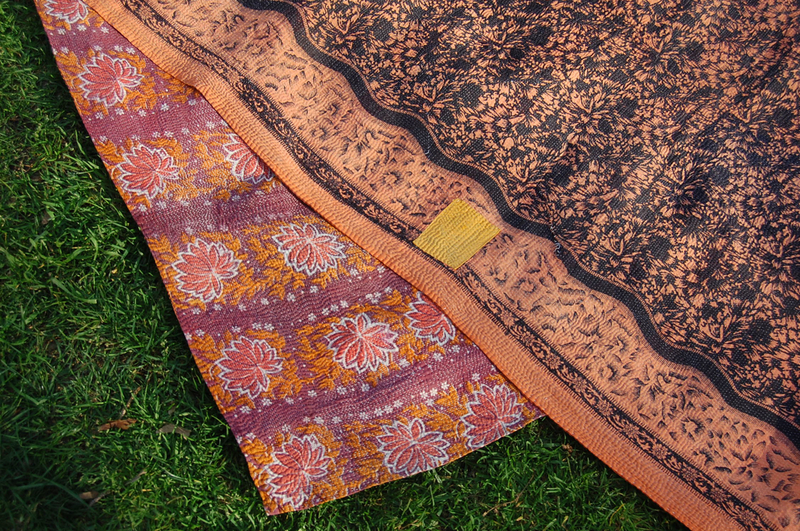 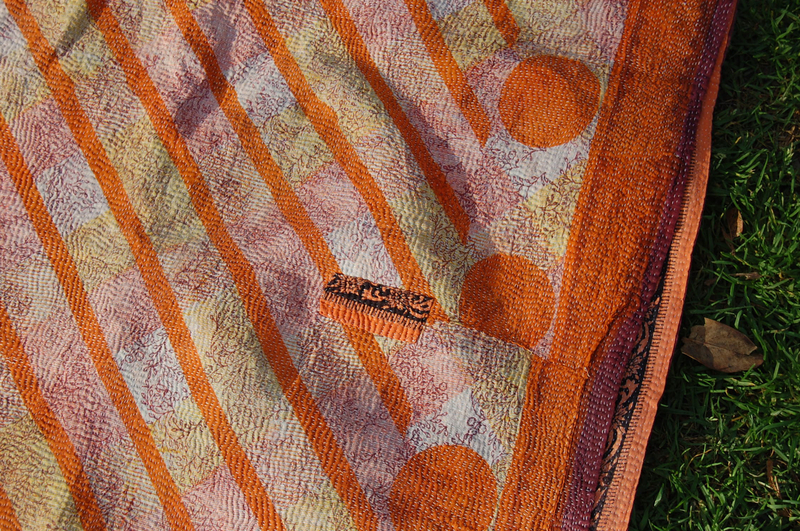 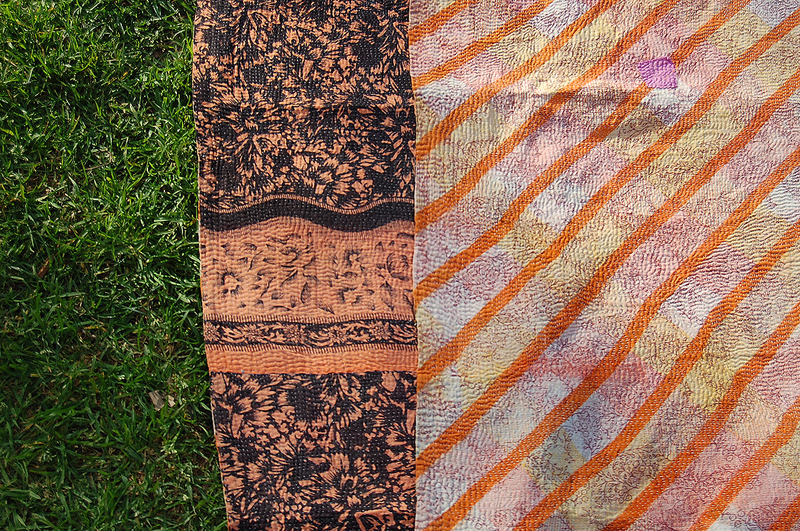 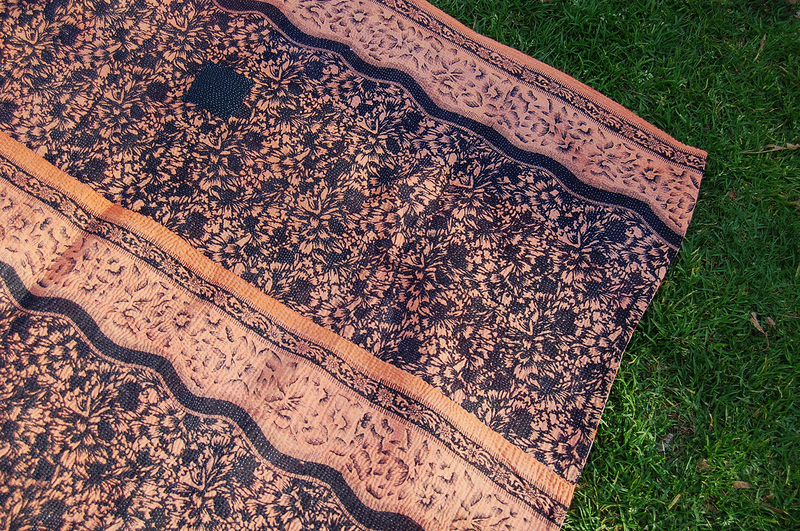 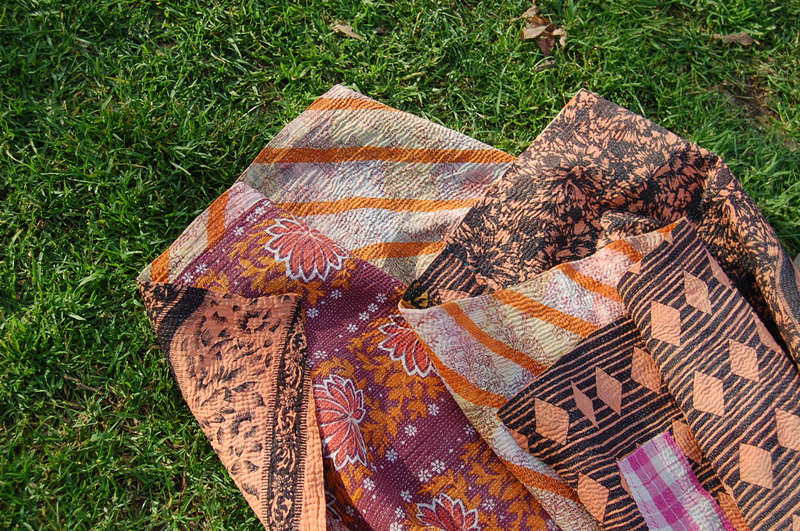 Coral & black, mixed with plum, pinks, oranges and white, Rhiya is a stand-out example of this wonderful craft from India. 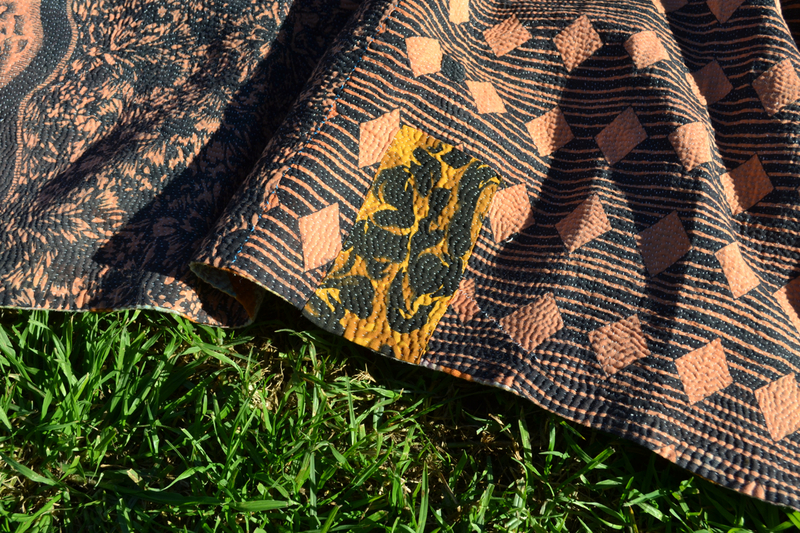 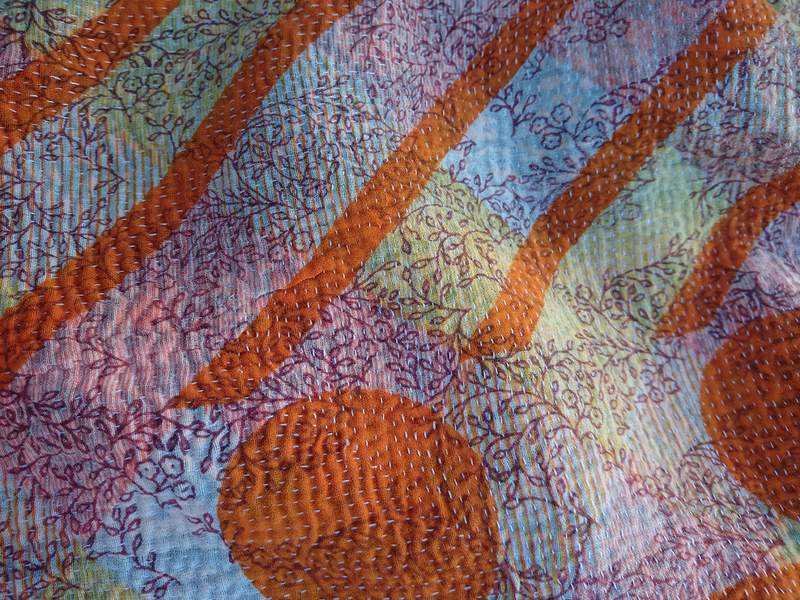 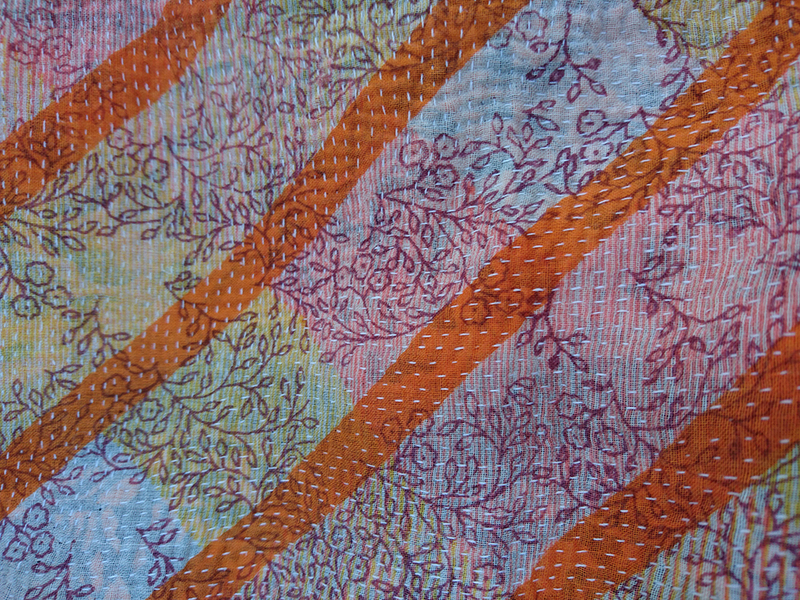 Thousands of tiny stitches, make up the entire surface, creating a unique textural experience, as well as a one-of-a-kind textile. 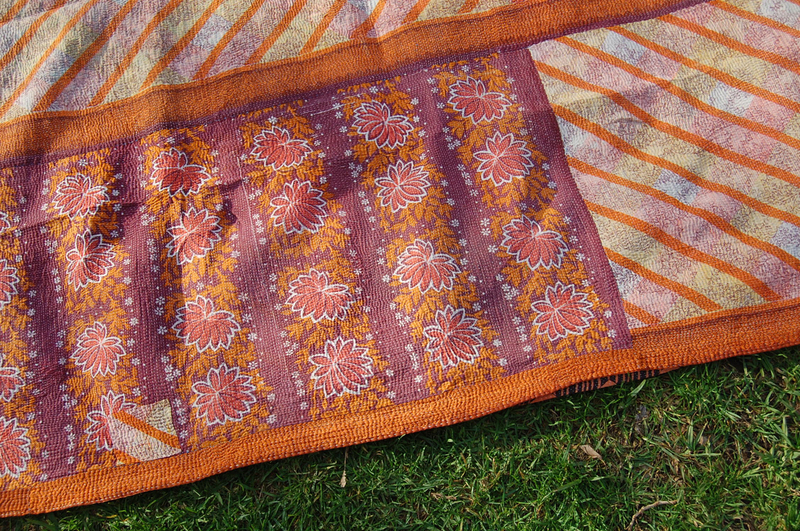 In a country where nothing goes to waste, this Indian craft has reached new levels, with one of the best ways to recycle old fabrics.